Welcome to Adams Ridge. Our community is spread out over approximately 1,000 acres of land. Within our community we have roadways and parking areas, walkways, playgrounds, an outdoor swimming pool, a clubhouse, a tennis court, a basketball court, a sand volleyball court and a soccer field. Adams Ridge currently consists of approximately 440 single-family homes and approximately 450 townhouse and condominium units. Each of the residential condominiums are a member of the condominium association, Adams Ridge Condominium Association. And, each residential town home is a member of one of two town home associations, Adams Ridge Community Service Association and Adams Ridge Southern Valley Association. Our single-family homes and common areas are members to the Adams Ridge Home Owners Association. Welcome to our beautiful neighborhood! The playground construction begins on Wednesday, April 10th and is expected to last 4-6 weeks. 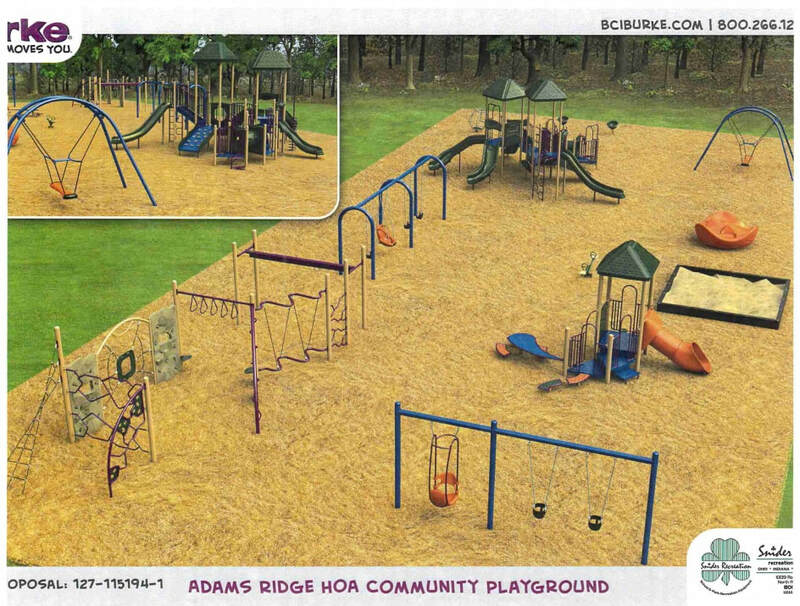 The deconstruction of the existing playground and the construction of the new Adams Ridge HOA Playground is schedule to start the beginning of April. The new enlarged playground will have a new water drainage system, a few new pieces of play equipment, new play area surface and new certified playground mulch. The play ground will be installed by a certified playground company and will be in compliance with playground code. We anticipate the new playground will be ready for our young ones by the end of May, just in time for summer play. 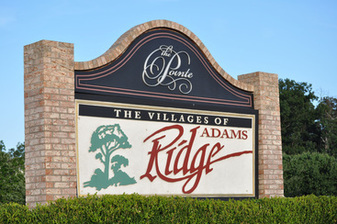 The Adams Ridge HOA new sign and new brick pillars have been ordered. We anticipate the sign and pillars are expected to be completed by the end of May. Swim Team Registration for the 2019 Season is now open! Cranberry Community Management is now accepting applications for summer 2019 lifeguards. Applicants must be at least 15 years old with lifeguard/CPR certification. Applicants must pass a drug screening and submit fingerprints for a background check. ​Applications must be submitted by April 24, 2019. Interviews and hiring will take place shortly after. It is expected that hiring will be completed by May 1, 2019.